There are many threatening and frightening things that happen to individuals whose relationship ends up in separation or divorce. A successful divorce is one in which the parents divorce each other but do not require the child to divorce one of the parents. 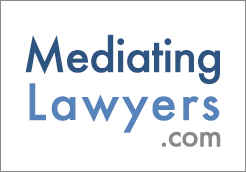 Hidden beneath the arguments of a couple in mediation there is a repeating theme. The argument is like Joseph’s coat of many colors. Each disagreement on the surface appears to be about something different, like one of the many colors on the coat. Under the coat, however, there is only Joseph, who remains mostly unchanged. Saposnek and Eddy offer an interesting and insightful perspective of the current American political landscape. This book offers a highly descriptive explanation of conflict, easily understood on the micro level of the dynamic between divorcing couples, which is then transposed onto the macro level of our two major political parties that are unable to resolve conflict.